MADDOX REQUESTED A CHANGE IN ROUTE. Published: Sunday, December 17, 2006 at 3:30 a.m.
Last Modified: Saturday, December 16, 2006 at 11:00 p.m.
MONTGOMERY | Tuscaloosa Mayor Walt Maddox and U.S. Sen. Richard Shelby have asked Gov. Bob Riley’s office to consider moving the proposed route of a Tuscaloosa bypass to accommodate an upscale development. The state Department of Transportation is amenable to moving the proposed route of the so-called Eastern Bypass to accommodate the development called Townes of North River just northeast of the Tuscaloosa city limits. 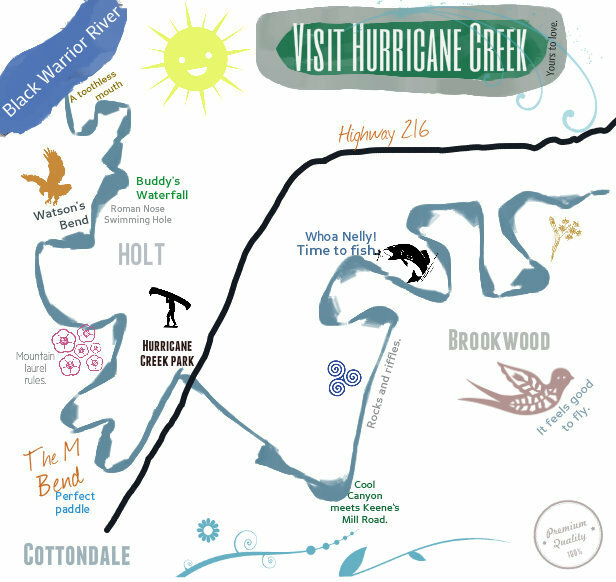 But the willingness to consider a new route has an environmental group seeking the same consideration from the DOT over the bypass’s route south of the Black Warrior River in order to prevent physical and aesthetic damage to the “M" Bend of Hurricane Creek, a popular canoeing and recreation area. “If they move any of it, they have to move all of it," said John Wathen of Friends of Hurricane Creek. Maddox in June told the DOT that Tuscaloosa’s growth potential is to the north and northeast of Rice Mine Road, north of the Black Warrior River. Because of that, he said, a substantial development that is important to Tuscaloosa may necessitate changing the route of the road, which might not be built for 20 years or more. “We asked for the state to look at the long-term picture of where we’re trying to grow residentially and commercially," Maddox said in a recent interview. Townes of North River is a 500-unit development on a 162-acre tract just east of the eastern boundary of Munny Sokol Park and a half-mile north of the intersection of Rice Mine Road and New Watermelon Road. But Townes of North River is in the path of the proposed $227 million bypass that eventually will connect Interstate 20/59 to U.S. 82. The development by Chris Dobbs and Chris Hayslip was planned after the DOT drew a preliminary route for the bypass. Last year DOT Division engineer Dee Rowe said it was unlikely the route would be changed to accommodate the development and that Hayslip was aware of the route. “We do not have any reason to think that moving the bypass is a possibility," she said in 2005. “He is taking his chances that the location of the bypass will be moved." Dobbs said he’s proud of the project, which is underway with its $250,000 to $750,000 homes, and believes it will be good for Tuscaloosa. His attorney, Bryan Winter, said the city and the DOT worked together to solve the road issue by suggesting bypass alternatives. “I guess the answer is we’ve got a situation where we’ve got the road 20 years down the road and there’s an opportunity to build beautiful homes in Tuscaloosa," Winter said. “It’s a public policy decision." He said the development went through the city’s permitting process and the city and DOT were aware of the project. “The state never said to us they’d like to buy the property," he said. Winter said a western jog to the bypass apparently was agreed on by the city and the DOT. “The city knows about it, the state knows about it and the state and the city are working together to resolve an issue," he said. “I don’t know why they’d want to put a road through a subdivision." DOT officials told the city last week in a letter that it received conflicting signals on how to proceed with a new look at the bypass and Maddox responded. Construction of the bypass south of the Black Warrior River is to be completed well before the northern section. “And we also felt necessary to give our view that the city of Tuscaloosa’s portion (of the bypass) from the Paul Bryant bridge back to the interstate is critical," Maddox said. Commercial and residential growth is important to the city and should be accommodated with a route change because the northern leg’s development is far in the future, unlike the southern leg, the mayor said. He said the city wants to annex the development. Anna Keene, coordinator for the federally funded AmeriCorps VISTA Watershed, said Friday that money appears to be more important than preserving semi-wild urban areas like Hurricane Creek, which will be skirted by the southern leg of the bypass. “What definitely bothers me is they would stick up for development rather than natural areas," Keene said. “Maybe we need to get with city officials and talk about it." She said she believes preserving natural areas has an economic benefit, too. “People are catching on, maybe the government is slow," she said. 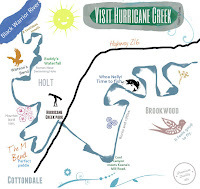 In 2001, Friends of Hurricane Creek asked the DOT to move the proposed route away from the “M" bend of Hurricane Creek, “one of the creek’s most pristine areas." Wathen, river keeper for Friends of Hurricane Creek, said developers apparently “have a lot more say than the common citizen." “If there’s any movement in this bypass (route) then an environmental statement has to be done," Wathen said. “They cannot start rerouting it because of fat cats and their money and leave us out of it again because there will be possible repercussions and possible litigation." Riley’s legal adviser, Ken Wallis, who was contacted by Maddox and Shelby, turned the issue over to the Department of Transportation. Riley’s office had no immediate comment. Shelby’s office said his involvement is due to his interest in a bypass that will ease traffic. Shelby spokeswoman Katie Boyd said the final route will be determined by the DOT but the state should be good stewards of taxpayers’ money. “To that end, in a recent conversation with (Wallis), the senator followed-up on concerns expressed by the city of Tuscaloosa regarding ALDOT’s pursuit of more expensive bypass routes rather than considering less costly alternatives available," Boyd said. DOT Chief Engineer Don Vaughn said rerouting will cost millions of dollars in state and federal taxpayers’ money mainly because delays result in higher acquisition and construction costs. The bypass was slated to cross Hurricane Creek near a waterfall, skirt the creek and then cross it again below Stone Creek. William Adams, design engineer for the DOT, said local concerns were addressed and “we’ve essentially already shifted because of Hurricane Creek to the extent that we already can." Adams said the route was moved slightly away from Hurricane Creek but not by one-quarter mile so the road couldn’t be seen as requested by Friends of Hurricane Creek. “We would have had more residential disruption," he said. “We’re trying to accommodate the areas of concern and still maintain the approved route." Adams said the DOT is ready to start buying right-of-way for the bypass south of the Black Warrior River and any change might require a new Environmental Impact Statement. “It’s possible it could be redone," he said. “It’s not desirable." He said any major route change would reopen the EIS process, “which will get everyone involved to be heard." Vaughn said the DOT only wants clear direction from the city on “which way we’re headed." “We had an approved route for several years ... and the mayor came over and said that subdivision was important to Tuscaloosa," Vaughn said. “We agreed to look at the line or shift it and how that impacted the subdivision." A DOT map shows an eastern jog around the proposed development but that wasn’t initially acceptable to developers, Maddox said, so Tuscaloosa transportation director Joe Robinson told the DOT to proceed with original plans. “Joe was right at the time," Maddox said. Maddox said developers had second thoughts and now propose realignment “along the western boundary of Townes of North River." Maddox said while the decision is up to the DOT, he believes a western realignment is preferable. DOT spokesman Tony Harris said the DOT was unaware of a proposal for a western jog around the development and produced a map only with a potential eastern realignment. Adams said the western jog could be a problem because the road must completely miss Munny Sokol Park, which is state property. “We can’t go across the mental health property," Adams said. “We could make a major shift but the western part you’re talking about is his property and the park’s and they almost join at Watermelon Road and we have an interchange at Watermelon Road ... there might not be room." Wathen is unmoved by explanations. “No one offered to help us," he said. Added Vaughn, “We can’t start, stop and change directions."